Despite being a digital piano, the KDP110 has the touch and response of an acoustic instrument. The Responsive Hammer Compact keyboard has been carefully designed to have an organic response to your touch throughout the entire motion of pressing each key. The keys have no springs in them for a more consistent response. The keys benefit from separately weighted hammers for increased stability and familiarity for classical musicians. No matter how modern or traditional your playing style is, everyone can benefit from the ES8’s advanced touch. With both Bluetooth MIDI and USB-MIDI function, you can connect the KDP110 to your computer. Convenient for synthesisers, workstations and notating compositions. 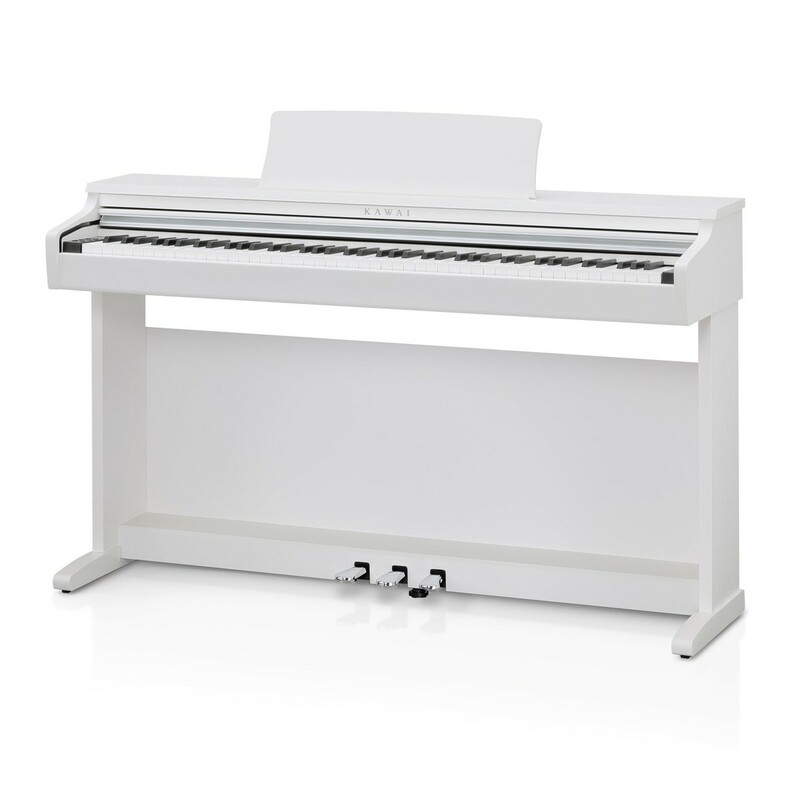 Thanks to Kawai’s Bluetooth technology you can also connect your digital piano to any supported smart devices.